If people ask me what do I do to have relaxing moments after stressful & chaotic day, one of the answers I would say is “ soaking in hot tub”. 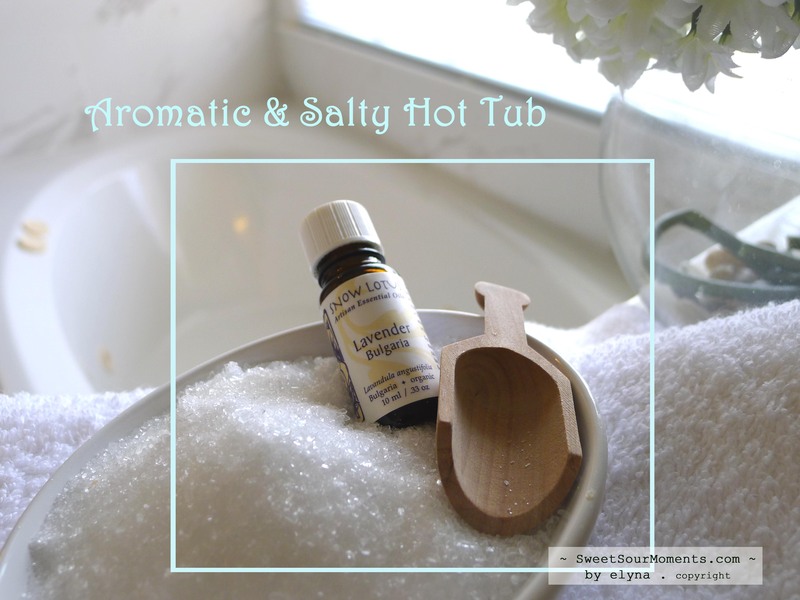 Not just tub filled with hot water, but aromatic salty hot tub, aka essential oil + Epsom salt. I exclude the bubbles because it triggers my paranoia, remember many horror movies in the tub scene? –smile- I want to be able to see clearly what is in the water … Ha!!! Soaking in a few cups of Epsom salt can ease aches and pains, calm the nervous system and soothe muscle strains, also has been known to relieve bruises, athlete’s foot, and gout. Magnesium sulfate is a natural mineral found in the water. When the Epsom salt dissolves in water, the magnesium sulfate is absorbed through the skin and restores the body’s level of magnesium which helps body produces serotonin, a chemical within the brain that creates a feeling of calm and relaxation.